It’s less than three weeks until the 2019 Country Championships series kicks off at Dubbo and there are contenders gearing up for the $150,000 Qualifiers across the state. Who will join previous winners Artlee, Clearly Innocent, Free Standing and Victorem on the honour roll of the $500,000 Final at Royal Randwick on April 6? The task of picking out just five hopefuls is not an easy one, and at least one of my five would count as obvious, but each of this quintet have the potential to at least qualify in their respective heats. At the very least, it should get you thinking about which horses could make up the final 16 runners in a little over two months’ time. Qualifier – Port Macquarie, February 17. Awesome Pluck (Pic: Bradley Photos). This flashy black-looking gelding punched above his weight as a three-year-old as he qualified for the Country Championships Final by running second to Victorem in his local heat at his sixth start. Injury forced him to miss the big one but when he next appeared he served notice that this could well be his season by running third, first-up, in the inaugural The Kosciuszko back in October. Since then Jenny Graham has campaigned him in Queensland and he’s started to come of age. He was unlucky at Doomben in November then bolted in at the same track on December 8. Graham dropped him to 1000m at Eagle Farm just before Christmas and he rounded up a handy Class 6 field under an arrogant ride from Damian Browne. There’s no doubt he’s a big contender in 2019, this far out he’s the horse to beat in the Port Macquarie Qualifier, which he’ll tackle first-up, and for mine one of the leading chances should he make the Final. Qualifier – Goulburn, March 2. It all happened a bit too soon for Chewy in 2018 but when he was thrown in the deep end in the Goulburn Qualifier at his fourth start he stood up despite being unplaced. The gelding finished seventh behind stablemate Kopi Luwak and he didn’t help his own cause by running off the track around the turn. To finish better than midfield, beaten five lengths, is admirable. To date all three of Chewbacca’s wins have come on his home track. 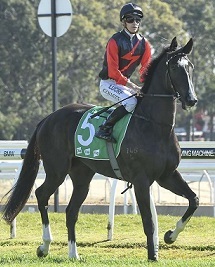 This season he’s appeared in two Class 3 Highways at Rosehill and finished in the placings as favourite. A return to Goulburn for the qualifier will be in his favour and you’d expect him to have one run prior to lining up on March 2 for his second shot at the Championships. Qualifier – Dubbo, February 10. A latecomer to racing, this six-year-old only made his debut at the start of the 2017-18 season and didn’t post his first win until start number six. But in the second half of 2018 he’s climbed the ladder in impressive style with a hat-trick at Wellington, Warren and Narromine over a variety of distances. It’s a winning streak that undoubtedly earned him a shot at the Championships. He reappeared in the Gilgandra Town Plate, a Benchmark 81 race, and showed he’s come back in fine style charging into second place from last early over 1100m. A Martin Placepick is nominated for the Australia Day Handicap (1400m) at Parkes on Saturday, January 26, in what would be his final lead up to the Dubbo Qualifier 15 days later and if he heads there in winning form he’d be my early pick in that heat. Noble Boy (Pic: Bradley Photos). It’s safe to say we don’t know how good this unbeaten four-year-old is just yet but he’s created a very big impression in his three starts to date. 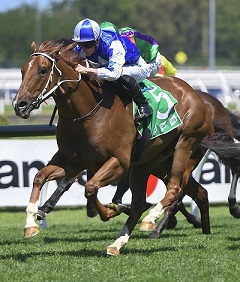 Dominant wins at Albury and Goulburn saw him start a short priced favourite in a Class 2 Highway at Rosehill back on December 1 and he again held a clear margin as he thundered clear late. His trainer Todd Blowes on that day declared he was Country Championships bound with the gelding via a Country Benchmark 70 race over 1300m at Warwick Farm on February 13. So far we’ve only seen one side to Noble Boy – get back and power home – and that may be all that’s needed to qualify. If there are other strings to his bow and he ticks the 1400m box he could be the horse they all have to beat. Qualifier – Tamworth, March 10. Another horse so lightly raced it’s impossible to know where he stands until he’s tested against better opposition but if Brett Cavanough follows through with his nomination for Randwick on Saturday (January 26) we’ll find out quickly. The Wilkes Quality will be no easy task but this three-year-old has already earned respect through his two wins, and the improvement he showed into his second win at Muswellbrook suggests there’s more to come. Cavanough has shown his hand a bit by nominating Syd’s Footprints for the three-year-old race over a Class 2 Highway over the same trip. It’s about six weeks until the Tamworth Qualifier so no doubt how he performs at his next start will shape where the gelding heads. As far as the Championships is concerned if it’s too soon this year there’s every chance we’ll be talking about him come 2020. The Country Championships Qualifiers are held this year at Dubbo (WRA, February 10), Port Macquarie (MNCRA, February 17), Albury (SDRA, February 23), Goulburn (SERA, March 2), Mudgee (CDRA, March 3), Tamworth (HNWRA, March 10), Grafton (NRRA, March 17) and the wild card at Muswellbrook on March 24.